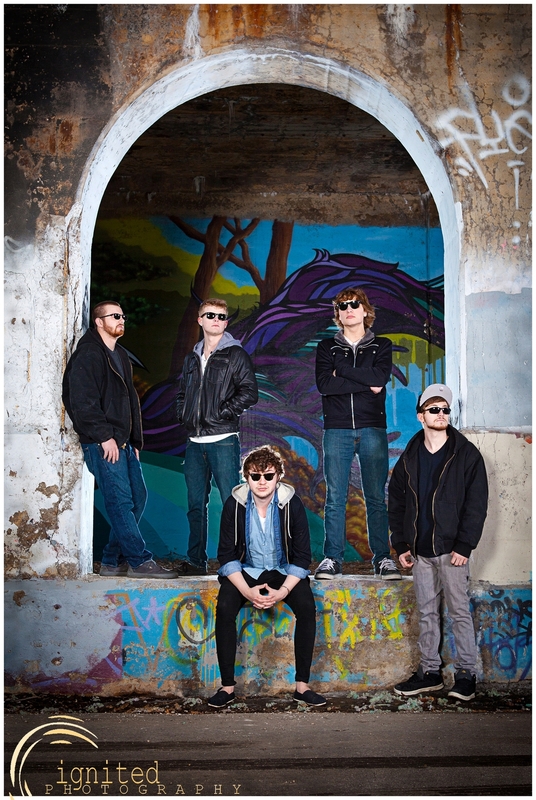 Aeris is a local band featuring five excellent musicians from around the Detroit area. We have photographed the lead vocalist, Justin Brandt, before including his senior portraits. He is an extremely talented performer not only musically but also theatrically. Justin is an experienced actor on stage and on screen. The band had approached us and asked for some group pictures for publicity purposes and we enthusiastically agreed. It was a chilly, early spring day when we went to downtown Detroit to capture some unique images of the band at the Dequinder Cut by the river walk. It was definitely a creative challenge to capture the band in a way that highlighted their own unique style and personality that has not been overplayed before. Nevertheless, we succeeded in showcasing the band while putting our own twist on the images.